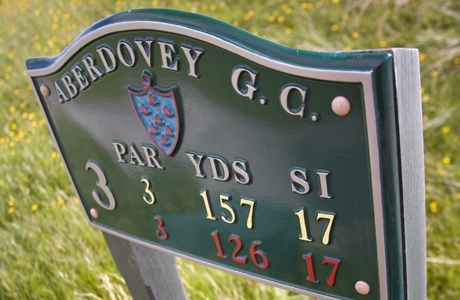 Aberdovey Golf Club stands at the mouth of the Dovey Estuary overlooking Cardigan Bay. 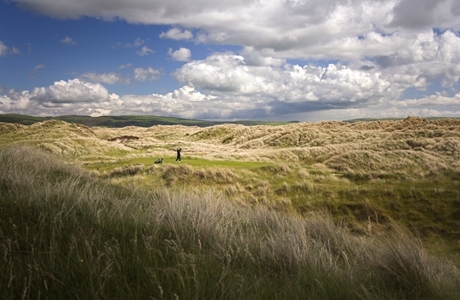 It is a traditional links course sandwiched between the Cambrian Mountains and the mid Wales coastline. Bernard Darwin played in the first Walker Cup match in 1922 – and the first literary giant of the game. The second, Ian Woosnam. 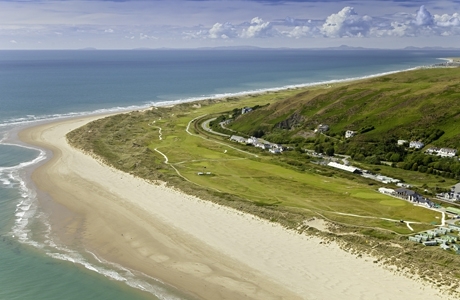 They both fell in love with Aberdovey. Darwin was there when the club was founded in 1892 but remembers golf being played on that precious strip of turf between sea and the seashore and hills in the early 1800’s when they cut nine flowerpots into the soil as holes. 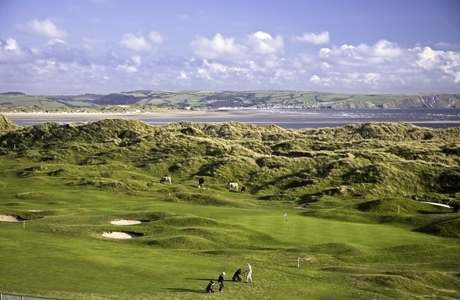 Woosnam has also found it to be a spiritual home. 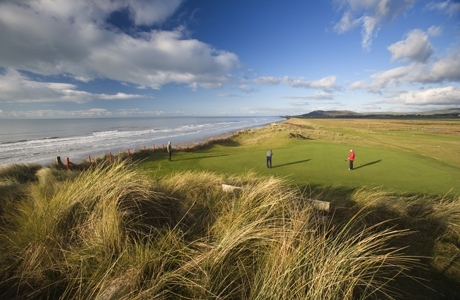 The course wends a traditional route out and back, with sand dunes as sentinels and the wind as friend and foe. 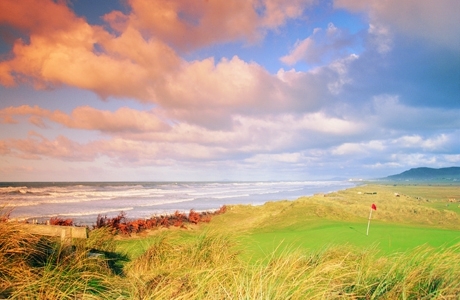 It is a place worth a long pilgrimage for any golfer.